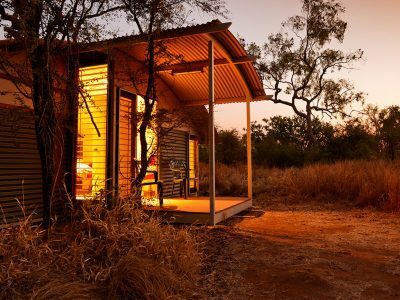 There’s plenty of walks in Purnululu (enough for all ages and skill levels) and each one as rewarding as the other. Your guide is the best person to walk the Park with. They’ll know where to take you and what to point out along the way, leaving you plenty of time to observe the world around you. 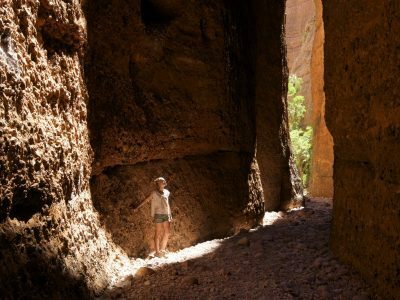 Before long you’ll arrive at something utterly amazing, like enormous sandstone striped domes rising up from the ground, or the serenity of Cathedral Gorge and Mini Palms. 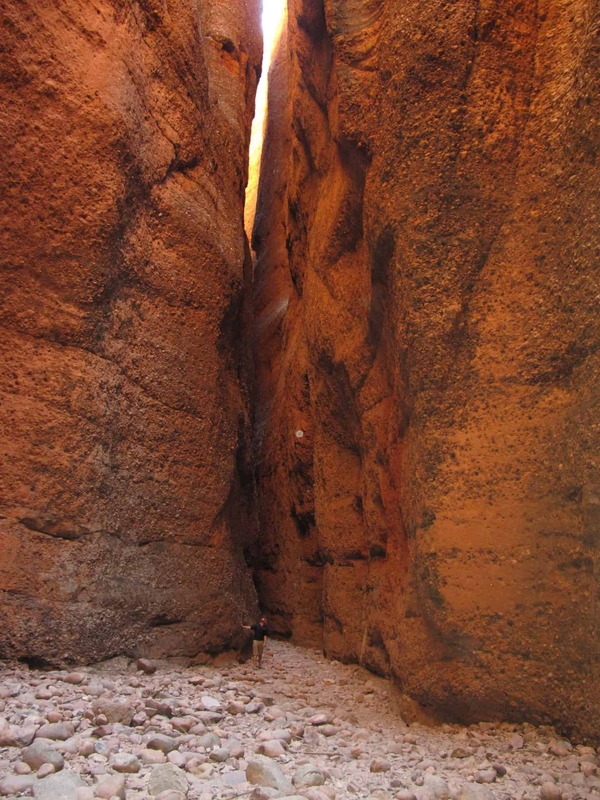 Echidna Chasm is jaw-dropping, with narrow walls 200 metres high. 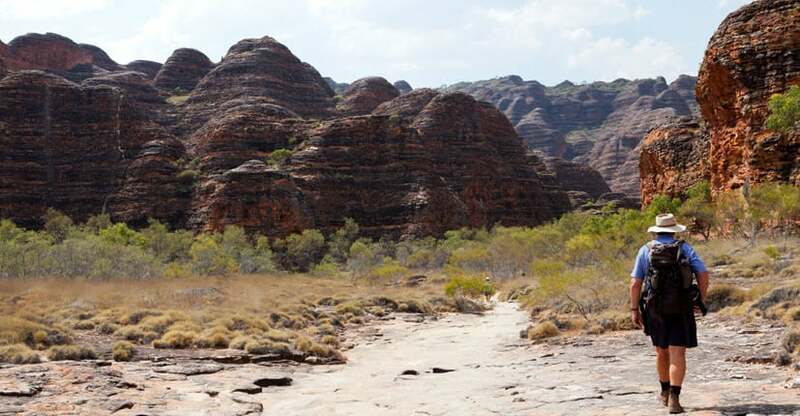 Terrain: Rocky creek bed to the base of a spectacular 200-metre high chasm. Steps to viewing platforms and boulders to climb over. 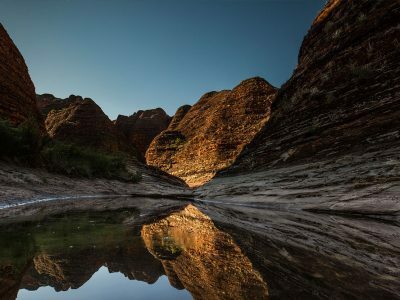 Experience: You find yourself surrounded by towering cliffs, truly amazing. The walk takes you into the chasm and its narrow walls rise so high, the daylight only just peeks through. 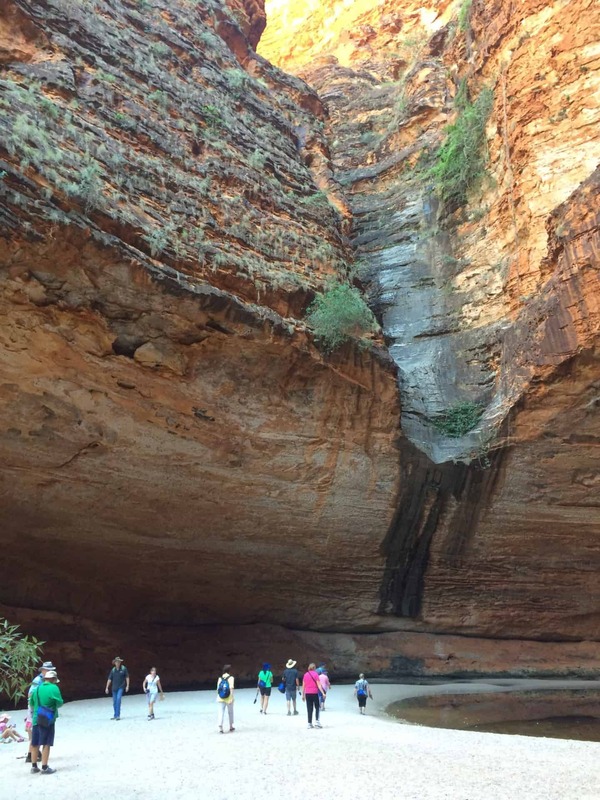 Terrain: Sandy path, stepping over rock ledges, around waterholes and past eroded potholes to an incredible natural amphitheatre carved out of the sandstone. Some steps with a handrail. Experience: The sheer scale and spectacle of it all! Water pounding through here in the wet season has created a huge amphitheatre with a pool of water in the middle. The acoustics are superb. Experience: While it is an amazing experience flying over the domes, you must join a ground tour to really appreciate how enormous and imposing and quite incredible they are. This walk has you walking right amongst them.